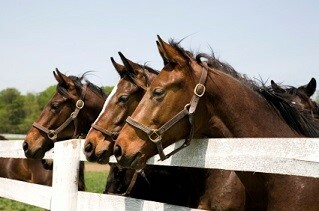 There are many varieties of grasses and legumes that can be fed to horses. Some are more palatable and digestible than others. Timothy hay is one of the most popular hays fed to horses. It is grown in many locations in the United States and around the world. Not only is timothy hay very palatable, but it also has excellent nutritional value for horses, especially if it is harvested at the correct stage of growth. Reed canarygrass is a tall, leafy, high-yielding cool-season perennial grass. It is typically considered as a low-quality forage for livestock because native varieties contain high levels of alkaloids, which make the forage unpalatable. Additionally, this forage often grows in wetlands and, as such, it isn’t usually harvested until wetlands dry up and the grass is overly mature. However, newer varieties have lower concentrations of alkaloids and similar nutrient composition and digestibility to other cool-season grasses. Researchers from the University of Maryland examined the voluntary intakes and dry matter digestibilities of timothy hay and a low-alkaloid variety of reed canarygrass hay by mature, Thoroughbred geldings. Hays were cut in the preboot stage from regrowth stands. The horses were stalled and were fed timothy hay or reed canarygrass hay in excess (approximately 3.2% of body weight) of their voluntary intake. Actual amounts of hay consumed were measured twice each day over a period of 14 days. 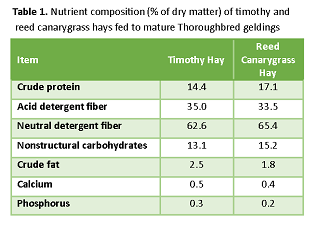 Iterestingly, the nutrient composition (Table 1) of reed canarygrass hay was similar to or slightly better than timothy hay, yet horses fed timothy hay ate 2.6 pounds more each day than horses fed reed canarygrass hay – clearly indicating that horses prefer timothy hay. In addition, horses fed timothy hay gained more body weight over the course of the study. Apparent digestibility of timothy hay was also greater than reed canarygrass hay. Digestibility is influenced by several factors, including nutrient composition and plant maturity (i.e., fiber content – mature plants have higher levels of fiber). It is unlikely that plant maturity was a factor that decreased reed canarygrass digesitibility since both hays were regrowth hays that had little to no seed heads. Timothy hay has a shorter, thinner leaf, which may have reduced mean retention time in the digestive system and resulted in greater digestibility. These results substantiate the excellent suitability of timothy hay in equine diets.  To receive this blog from Anderson Hay directly in your email, subscribe on the left. We are currently conducting a blog survey! Please contribute your thoughts on the survey by pushing the button below. Ordakowski-Bur, A.L., R.W. Quinn, T.A. Shellem, and L.R. Vough. 2006. Voluntary intake and digestibility of reed canarygrass and timothy hay fed to horses. J. Anim. Sci. 84:3104-3109.